This large random limestone flooring has light softened edges with a smooth semi polished surface producing a smart antique floor. This antiqued limestone flooring is appropriate for older buildings, but is also comfortable in contemporary surroundings. 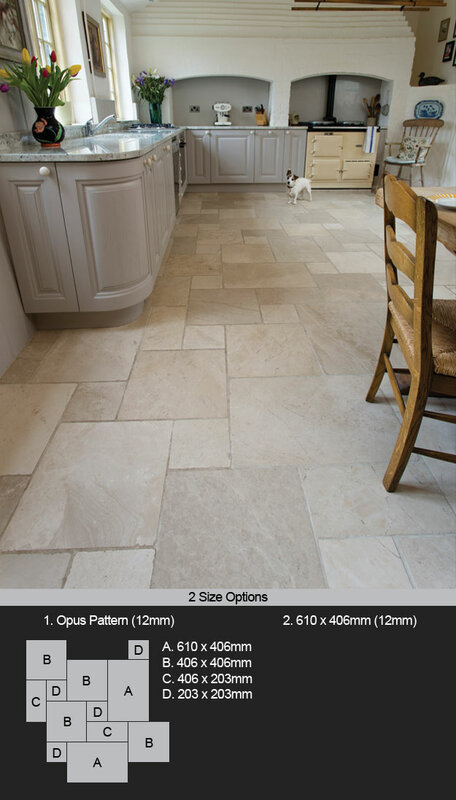 With its pale coffee tones this limestone is bullet proof as a flooring material, and is suitable for both domestic and commercial situations. * Time worn surface with soft edges. * 2 x stone patterns available.